Mother’s Day is always the second Sunday in May. This year, it falls on May 14. What are you doing to celebrate? 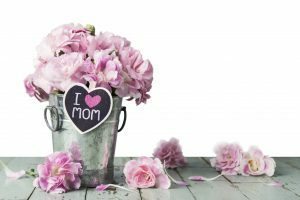 If you’re still unsure of how you will be recognizing the special moms in your life, check out the retailers below. They offer great military discounts so you can you find all the gifts you need and stay within your budget. Mom will be comfy and stylish with an outfit from American Giant. Receive a 20% discount from this retailer of quality American-made sweatshirts, pants, jackets and more. Discount applies to the first $500 of any order and is available to active duty, reservists, National Guard, veterans, and military family members. You can also receive $15 off when you refer American Giant to other members of the military community. Moms are always on the go. Footlocker has shoes and apparel that will keep up with her active lifestyle. Active duty personnel and eligible dependents, and retirees receiving military benefits can take advantage of a 20% discount off most purchases at Footlocker.com. Exclusions apply. The footwear and apparel brand Nike honors military personnel with a 10% discount at Nike.com and at Nike, Converse, and Hurley stores in the United States (excluding Nike Company/Employee Stores). Discount is available to active, veteran, retired, and reservist US Army, Navy, Air Force, Marines, and Coast Guard personnel. This veteran-owned retailer sells fashionable American-made bags and backpacks that are made from repurposed military fabrics. U.S. active duty military personnel, National Guard members, Reservists, veterans, retired personnel and spouses are eligible for a 20% discount on all orders. Send mom a beautiful bouquet of flowers and save with a military discount. For an extra special surprise, sign her up for 12 months of flowers! Military members can receive a 40% discount on flowers and gifts of $45 or more. This flower retailer has two coupons available to military members. One coupon offers free delivery of flowers or gift baskets, and the other entitles you to 20% off flower arrangements, fruit gift baskets and more. Treat mom to sweet treats she’ll love. Cheryl’s Cookies offers free shipping to APO/FPO addresses. If you have a Troop ID account, you can enjoy 6% off site-wide. Coffeeforless sells baked gifts, coffee & tea gift baskets, whole bean and ground coffee, coffee pods and more. Pamper mom with a spa day at The Red Door Salon & Spa and receive 20% off services and product purchases. Discount is available to active duty, retiree, veteran, National Guard, reservist, and U.S. Coast Guard personnel. Being a mom can be stressful at times, especially if you are part of a military family. Massage Envy offers tension-relieving massages, hydrating skin care treatments and more that will make her feel amazing. Participating Massage Envy locations offer a Military Discount Program that entitles active military personnel to a membership at a savings of $60 a year. Military families can receive a 20% discount on all portrait packages and specialty portrait products. If mom loves home decorating, crafting or sewing, Joann has lots of great Mother’s Day gift ideas. Military service members receive 10% off total purchases every day, including regular, sale-priced and clearance items. Enjoy 15% off your entire purchase every day when presenting your Military ID. Shop for frames, knitting supplies, home décor items, and more. Yankee Candle has an incredible selection of beautifully scented and unscented candles and gifts. Active and retired military are entitled to a 10% discount every day on every purchase. Discount can be combined with any other in-store or coupon discount. Happy Mother’s Day from Omni! Military ID or verification is required for all discounts. See individual websites for offer discount details and exclusions.